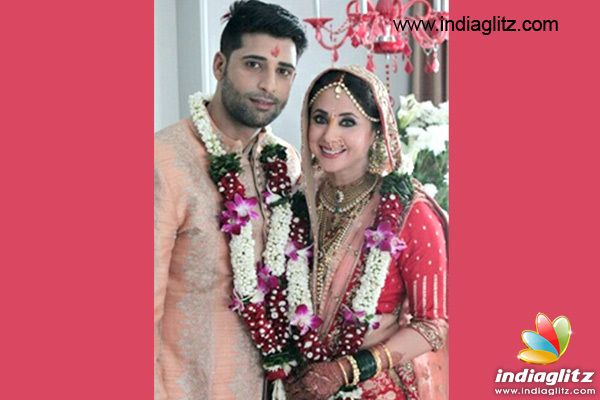 After Preity Zinta yet another Bollywood actress took the "saath phere" secretly, away from the public glare.... 'Mast' diva Urmila Matondkar married Kashmir-based businessman Mohsin Akhtar Mir yesterday afternoon, in an private ceremony. The wedding, which was held as per Hindu rituals at Urmila’s residence, with only close family members and friends. Quoted the newly wedded Urmila, "We kept it an exclusive wedding with just family and friends at the celebration. Since our families wanted the wedding to be a low key affair we mutually decided to keep it private. We seek your blessings on embarking this new journey of our lives." Fashion guru Manish Malhotra was the only person from B-town at the wedding. The ace designer shared Urmila’s picture on Twitter, and congratulated the actress. He called her the most beautiful bride.